We are less than a week out from possibly the largest eating and cooking day of the year in America. Are you excited? Are you nervous? Betsy and I aren’t traveling anywhere this year and instead having Thanksgiving with some friends in town. Also, my Dad and Stepmom are coming in to celebrate so it should be a good time. We are kind of doing a potluck style Thanksgiving so people are bringing dishes. I’m in charge of the bird though. I’m going to brine it in my favorite apple cider brine and then deep-fry it! Hopefully, I will not become a turkey fry statistic on the local news. 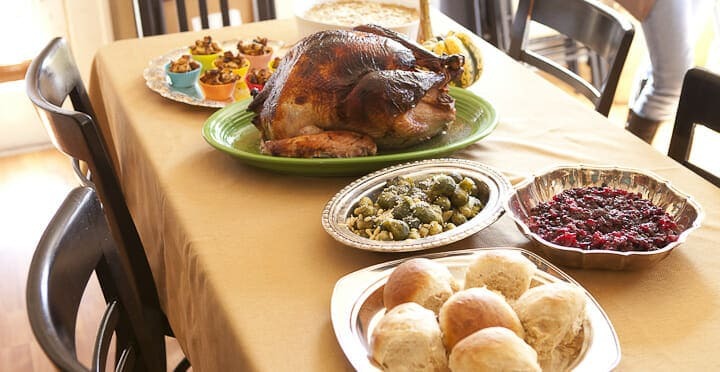 I’m posting a few Thanksgiving-related recipes next week, but if you are looking for good recipes to plan, check out the Thanksgiving section on this very website for about 20 tried and true recipes. No poll this week because next Thursday is turkey day. If anyone has a great recipe that they have tried or are going to try this year, leave a comment! LOVED the haters guide! Cracked me up!!! I haven’t laughed so hard in a long time – the Haters Guide is pure genius! Thanks so much for the link Nick! As you’re staying home for the holidays feel free to break out the bourbon at any time. Happy Thanksgiving!